Kalamazoo-based Last Gasp Collective takes small town dreams to big city sounds in expansive instrumentals and hip hop tunes. Last Gasp Collective is a musical anomaly: They are the definition of a fighting small town dream, a mismatched collection of artistic personalities with a similar, driving passion. 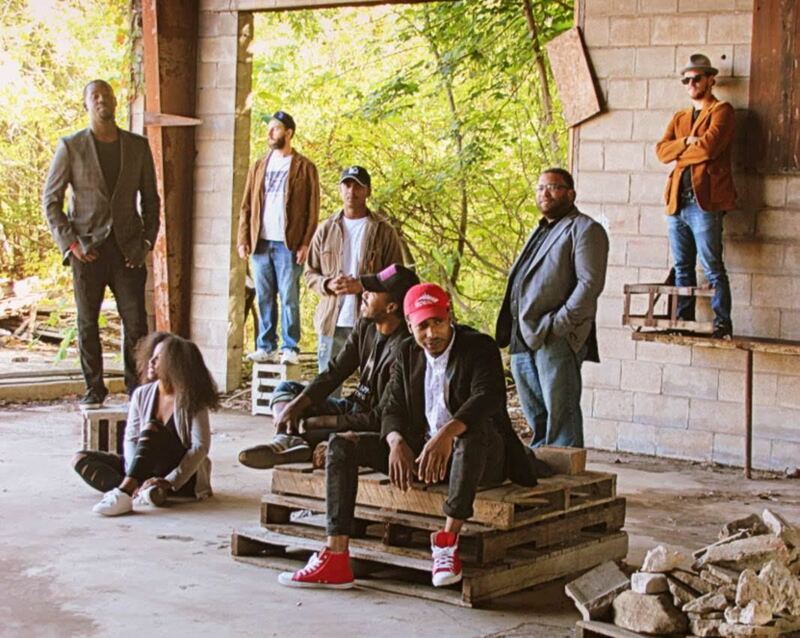 Created with a motive to reform the Kalamazoo hip-hop scene, the group grew to a whopping 11 members, all with personal goals and talent to contribute to the melting pot of sounds that gives Last Gasp such a memorable sound. In rap-meets-jazz construction, Last Gasp takes the beloved sounds of R&B and places them among strong, voluptuous female vocals, reminiscent of the experimental style of the intriguing and multifaceted Hiatus Kaiyote. It’s heard in their latest single “Small Town,” a track which dives deep into the big city dreams of the Kalamazoo group, one with leaders who started in much smaller places. The ’60s-club-inspired video for “Small Town” beautifully captures the band’s vision. Featuring multiple vocalists, instrumentalists and dancers, the collective is bright and centered in a darkly-lit, moody environment, reminiscent of the haze on the big-town dreams they aim to reach. The smoke-filled rooms echo with pure noise, from saxophone riffs to a piano base and layered vocals. Visually, the video is purely artistic, capturing the band’s mood and perfectly describing how they see themselves. “Small Town” is a track powerful in composure and message, speaking to beliefs and hopes. It’s full of instrumentals, so many it’s difficult at times to make out the lines between them. From the band’s repertoire, it’s one of the fullest, yet only shows a single dimension of the many sides to the ever changing group. 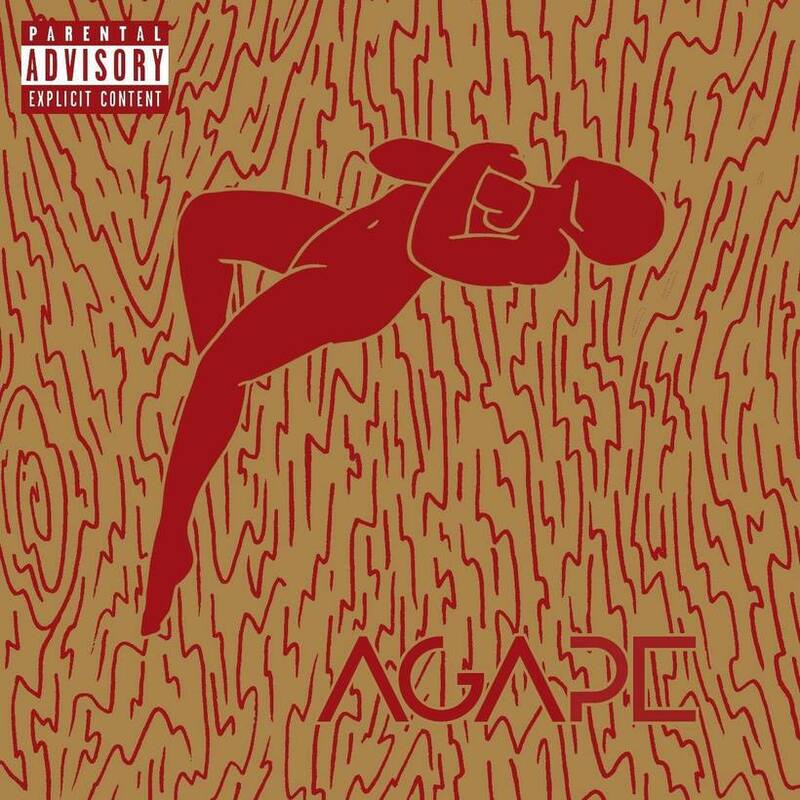 The group’s other tracks, off their 2017 debut full-length Agape and beyond, lead with similar ideas, yet spotlight new strengths. “Puppy Love” is experimental, opening with a purposefully-wrecked vocal sample. It then opens into a catchy, duet-driven verse. “Ms. Coretha” is a R&B inspired, female-driven track, which draws from modern elements like Chance The Rapper beats and Destiny’s Child vocal arrangements. It’s one of the most impressive in the band’s repertoire, creatively designed with a ringing telephone base and fast-paced verses repeated with raw talent. Though each of the tracks has less than 1,000 listens on Spotify, the entire collection is a diamond in the rough. With DIY, living-room style arrangements, the band is bound to put on a loud, proud and full-bodied live show with instrumentals to be remembered and superb vocals to match. There’s something utterly real about the band: in their recordings, they aren’t aiming for perfection, they’re simply gathering their band mates and playing their hearts out, each individual talent shining through to its own recognition. Atwood Magazine spoke with Jordan Hamilton, executive producer of Last Gasp, and group founder Jay Jackson about the band’s unusual arrangement, big city inspiration and their future hopes. Can you start by telling me a little bit about the formation of your group? How did you attract so many members and organize a way to incorporate all of your individual crafts? Jordan: The expansion of the group started in the Open Mic/Jazz Jam Scene of Kalamazoo. Some of us were solo artists. Some were in other bands together. All were inspired by Jay’s idea to build a Hip Hop Band. The formation of the group aims to recreate the presence of the funk bands of the 60s-80s, so many band members are needed. The style of the group is still evolving as players come and go and interests change. I believe the incorporation of the various styles in the group falls on the songwriting. We try to write for the instrumentalists in the group. Always thinking of what we do best to craft a tune. We still have much more exploration to do in developing our collective sound. Part of your goal in the early days of Last Gasp was to reform the hip-hop scene in Kalamazoo. Can you explain your mission and how you went about tackling such a large idea? Jordan: Step by step. It started with a grand idea but a lot of the actions were taken at face value. Within any opportunity we got, we aimed to make the music engaging, truthful, and positive to gain the trust of our listeners. I believe good music is good music and people will listen as long as it’s good and presented in a healthy way. I believe this has opened up ears to the art of Hip Hop to people that otherwise would not have listened. With this listener support, we like to share our presence and encouragement with other artists in the scene. I believe this is inspired by the fact that we received a great amount of help from local artists when we were in the beginning stages. You were inspired by the big city feel of Kalamazoo. How did that inspiration find its way into your work? Jay: It’s funny because most people who are from Kalamazoo probably wouldn’t classify it as a “big city,” but because I was raised in the relatively much smaller town of Cassopolis, when I eventually ended up in Kalamazoo, it seemed like a big city. Mainly it was the availability to resources that really come in handy when you’re an aspiring musician. Open mics were completely non-existent where I had been raised. That alone played a huge part in the decision to form a “band” rather than just being solo act. “Small Town” is your latest release. Can you tell me a bit about the inspiration behind the song? What does small town, vs. big town mean to you in terms of productivity? Jordan: Small Town / Big Town in terms of productivity means to me that dreams are acquired in many shapes and forms. Many musicians aim to move to big cities instead of using the resources that are available wherever they are. The meaning is also up to the listener! That’s just something I get from it. The “Small Town” music video features a commotion in a jazz-like club. Can you explain what you wanted the video to get across? Where did that inspiration come from? Jay: Personally I was hoping the viewer would get the feeling that we’re young and modern but a classic/old-soul bunch in many ways. I’ve always been attracted to that 60’s smoky club cinematic look. The film Harlem Nights specifically was what I always referenced when describing how I envisioned the video. Who are some of your musical influences and inspirations? Can you hear any of their work in your own? Jay: By default I think my biggest influence was gospel music. Growing up in a religious family I was sheltered from what we called secular music. So from infancy ‘til I was about 12 or 13 the only non-religious music I heard was motown. When I was 12 I heard ‘College Dropout’ by Kanye West and was immediately hooked. It completely defied everything I was told about “Rap”. When I heard the chords and the melodies and the choirs and the positive lyrics, I knew I had been lied to. So because I come up with the basic groove for a lot of our tunes by default, our sound is heavily reminiscent of gospel music and conscious hip-hop. What are your goals in growing your group in the next months and years? Jordan: My goal for the group is to start touring more. I would also like to continue to foster and develop the creativity and artistry of all the members including myself.